Check out our selection of children's picture books from Bronx, NY, and give your kids the gift of reading. 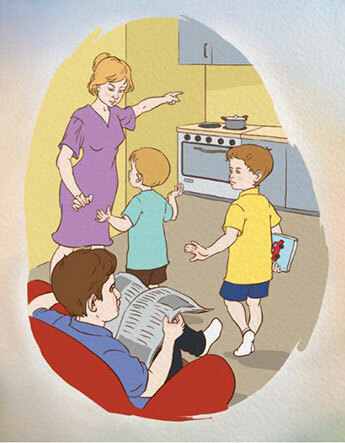 Each picture book by Paulet Facey is designed to help improve child literacy by guiding them and making reading fun. Just check out these kids books and let your children try one for themselves today. We have the best children’s books and stories for kids. Contact us for more information. 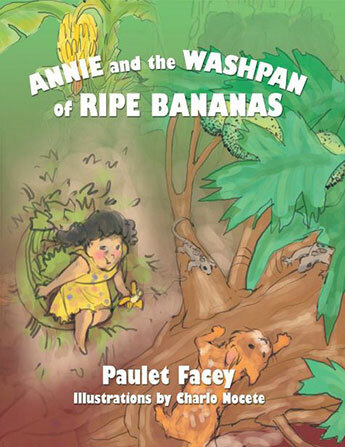 "Annie and the Washpan of Ripe Bananas"
Annie and the Washpan of Ripe Bananas was published in October 2010. This is a story that deals with the choices and consequences a young girl faces. Annie, finding herself bored one day when school is on holiday, defies her grandmother's request to read. This results in her being unable to get close to the parade. The story highlights the reading strategy, cause and effect, in a novel way. Elements of grammar including nouns are also presented, as well as figurative language. "Annie and the Washpan of Ripe Bananas" legitimizes childhood fantasies during fun time as Annie imaginatively transforms the banana field into a classroom of students as she plays. Drink deeply into rich culture as you enjoy the experience of Annie in a mound. 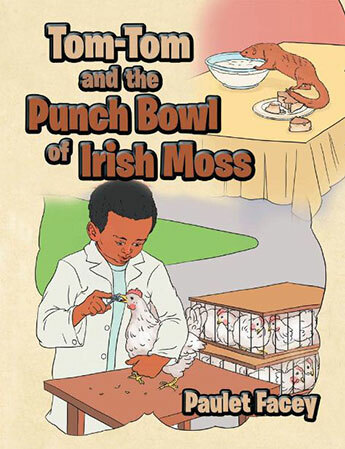 "Tom-Tom and the Punch Bowl of Irish Moss"
Tom-Tom and the Punch Bowl of Irish Moss is a lively tale of a mongoose that lost his way and ended up in the dining room of a terrified family. Published in October of 2012, the story is full of excitement as it details the adventures of a frightened creature. The story shows sensitivity to the creatures of the environment and illustrates how traumatized an animal can be when it loses its path and ends up in unfamiliar surroundings. It is an excellent tool for teaching young children how to interact with animals in the environment. It also incorporates literary techniques such as grammar and figurative language. 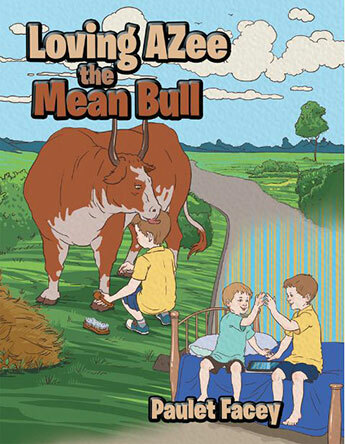 "Loving AZee the Mean Bull"
Published by XLIBRIS in October of 2012, Loving AZee the Mean Bull helps improve reading comprehension and sheds light on bullying. Bullying is more than just a juvenile interaction today. This unacceptable behavior has become prevalent in families, as well as social gatherings. 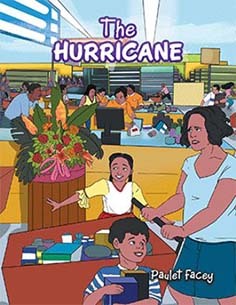 The Hurricane centers around two happy children who want to experience the excitement of a storm. Eventually, a hurricane hits their tropical island, but the agony and devastation of the horrific winds blew the children’s smiles away. The parents who are philanthropists make provisions for the victims, and the entire family joins other neighbors as they turn the chaos into a channel of service to others. This is a moving story that legitimizes the virtues of a selfless life and loving one’s neighbor. It is a great source for story elements, figures of speech, homonyms, affixes, and interesting vocabulary. 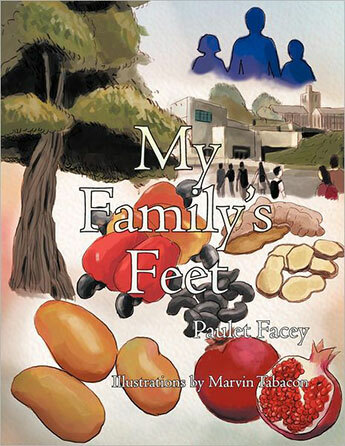 My Family's Feet was published by XLIBRIS in July of 2012, and is told from the narrator's point of view. In the story, the narrator has been away in New York City for some time. She's progressing well, but she misses her family and the familiar surroundings. In order to make connections, she starts to reminisce on the family members' feet. This practice has allowed her to make even deeper connections with her farm, reflecting on the fruits and vegetables. She also remembers pleasant times with her grandmother and grandfather. Feet can signify specific periods, and they can awaken memories. The memorable occasion with her grandmother in the cellar is brought back to life as a result of her father's feet. The afternoon's lesson learning parallel lines, as well as her earliest connection with books are recounted because of Lisa-Joy's feet. Christmas is brought to life because of the Matthew-John's pinky toe. The narrators believes feet are even more significant as they show the uniqueness of each family member. "How Loney the Honey Badger Got Its Name"
How Loney the Honey Badger Got Its Name shows how a ferocious badger, Loney, intimidates the animals of two forests; this causes Loney to be led to a beehive where he plunders the honeycombs, devours the royal jelly, and endangers the life of the queen, along with the entire forests. The badger’s behavior is repudiated by all the animals and the environment; this causes the badger to ultimately retreat to its set in shame. The account contains excellent story elements—a great setting and an exciting plot, combined with examples of affixes, figures of speech, homographs, homophones, and homonyms. 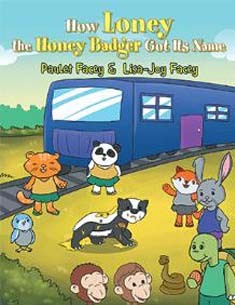 The story provides an avenue for a compare/contrast activity of the badger with other animals. This is a compelling story for young readers!